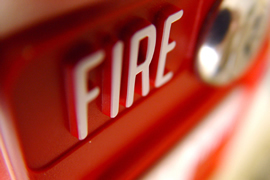 Fire is one of the biggest single risks a business can face. Creative Security Dynamics understand the importance of protecting your business, staff and assets therefore we offer a wide range of fully compliant systems to BS5839:1:2017, Fire prevention and detection solutions including Conventional, addressable, net-workable, wireless, integrated, air sampling and remotely monitored/remotely interrogated and controlled solutions. Creative Security Dynamics can provide bespoke Nurse Call/Staff attack systems that ensure care is always at hand. Rapid notification of events allows for rapid response and therefore increases patient and staff safety. Direct Alarm and communication systems to protect the elderly and vulnerable. From small scale commercial applications to Large scale Health, Public and Retail sector systems Creative Security Dynamics offer a comprehensive array of P.A/V.A systems to meet your requirements and your budget. BS8300:2009. This British Standard requires all new disabled toilets to be fitted with an emergency toilet alarm. The system will audibly and visually alert staff at a permanently occupied position that a person is in need of assistance. The Office of National Statistics estimates that there are nearly 4 million lone workers in the UK. It’s estimated that over 160 attacks take place on lone workers every day! As an employer you have a Duty Of Care to your employees to protect them from unnecessary risk. Increasing Health and Safety and HR to legislation places high demands on employers’ time and resources. Having an effective Lone Worker solution in place can help to ensure you are fulfilling your employer Duty of Care. A paging system is a cost-effective, reliable and easy to use method of communication for individuals and businesses alike. Creative Security Dynamics can provide design, installation and aftercare support for all of your paging requirements.